Aerospace, by its nature, has to take a conservative approach to new technologies. Failure at 30,000 feet has consequences not commonly found in other engineering sectors, and a low tolerance of risk is inevitable. As a result, the aerospace industry has perhaps not enjoyed the same benefits of digitalisation that less risk-averse sectors have. But at this year’s Farnborough International Airshow, the winds of change were blowing. For the first time, Farnborough hosted an Aerospace 4.0 Zone. Exhibitors included SAP, Deloitte and Frazer-Nash Consultancy, alongside organisations such as the High Value Manufacturing Catapult and Sheffield’s Advanced Manufacturing Research Centre (AMRC). While a range of digital technologies was on display, additive manufacturing (AM) and its potential benefits were undoubtedly the focal point. According to Brooker, the manufacturer has been working with several space companies over the past five years, laying a foundation for moves into the wider aero industry. But where space start-ups can perhaps tolerate some of the risks associated with nascent technologies like AM, the aviation giants must tread more carefully. Added to that, certification to operate in the sector can be time- and cost-intensive. “We’ve just passed our second stage initial audit for AS9100 approval, and we now we go into a three-month cooling off period where they do all the investigation and check it all,” Brooker explained. “So we should get that for the entire company around October. That’ll enable us to go directly to aerospace companies like Boeing and Airbus. Where Frazer-Nash Manufacturing has an advantage, said Brooker, is in its roots as a traditional machine shop. High-end AM parts will often require some CNC finishing, which the firm can easily provide, allowing it to offer an end-to-end service to the customer. Despite this, he doesn’t expect the company’s push into aerospace to be a gold rush, describing the process as more of a “slow burn”. Inextricably linked to the certification issue – and perhaps the biggest challenge facing AM – is repeatability off the production line. Adoption will only gain momentum once there is confidence across the whole supply chain that parts are being produced exactly in accordance with their CAD dimensions, to tolerances that consistently compare with traditional manufacturing. It’s an area that Hill is exploring at the AMRC, and one where simulation is playing an increasingly important role. 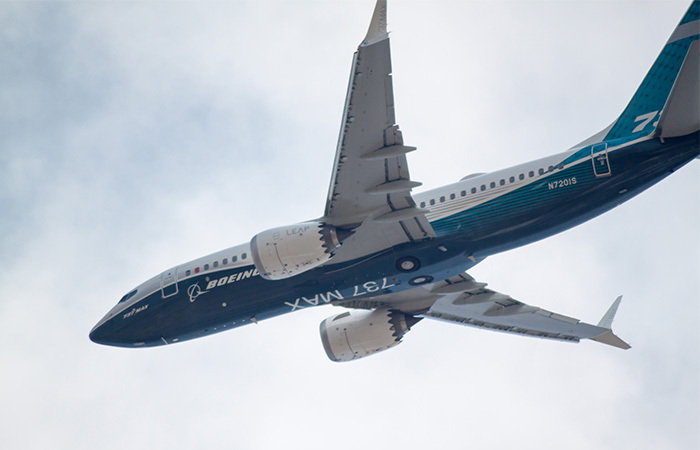 Speaking to The Engineer at Farnborough, Paolo Colombo, aerospace and defence director at software giant Ansys, said advanced simulation tools are helping to drive innovation by giving engineers greater confidence and understanding of a range of new approaches and technologies. AM has huge promise for the aerospace sector because of how it enables manufacturers to optimise the topology of components and reduces weight. But while AM is already used to produce a number of aircraft components, its application is limited. Echoing the comments of Hill, Colombo noted that concerns over the variability of parts was holding the technology back. However, in a development that Colombo said could be truly “revolutionary” for the sector, Ansys has recently developed a simulation tool for selective laser metal sintering that understands and predicts the variabilities arising from AM. It then feeds this information back into the process and automatically changes the geometry in such a way that the end component exactly matches the desired design. Based on technology developed by 3DSim, a company acquired by Ansys in 2017, this multi-physics simulation tool takes into account a host of complex thermal, mechanical and electronic factors, explained Colombo. As well as understanding the performance of the machine and the process – for instance the complexities of what’s happening at the melting point – the tool also factors in the behaviour of the part immediately after the process. “When you have the part done there is a certain amount of time where it is ‘moving’ because it’s cooling and so again you want to understand the stresses and the probability that the microstructure of the part is the structure that you want,” he said. Another area where he expects simulation to play a prominent role is in the development of electric aircraft, a major emerging trend for the sector. Here again, the ability to carry out complex multi-physics simulations that take into account a huge number of variables will be key to helping get the technology off the ground. While simulation clearly plays an important role in driving forward new innovations, Colombo believes it’s also becoming a useful tool for the regulators who will ultimately determine whether these technologies fly or not. concerns over the variability of parts was holding the technology back. During a time at a well known aircraft manufacturer based in a city towards the West of London (heavens its over 55 years ago) I was permitted to put some rivets into the tail structure of a rear-engined aircraft. The specification called for the tolerances on these to be maintained by keeping such in refrigerated conditions. It was the role of apprentices to bring these to the riveters every hour. I have to admit that it was not uncommon for rivets to be ‘swept-up’ from the floor and used. Who knows what dimensions and hence stresses were wrong! This past weekend, I had the privilege of meeting an elderly aero-Engineer: who had emigrated to the USA (after a craft apprenticeship and external degree taken at Hatfield: no prize for defining where) and worked on many projects there. Of course, he had moved with the ‘times’ and was fully conversant with new digital based technology, as it entered the ‘information food-chain!’. His thinking was that those aircraft (and he particularly cited the DC3/C47/Dakota) still flying after 70+ years were designed by slide-rule and ‘ rule of thumb’ : and as the stresses were not fully calculable, safety factors were used! This resulted in what was obviously over-sizing, but with valuable benefits. I did in the 60s fly regularly in DC3s into the interior of British Guiana: these were indeed very old planes, with an outside toilet! But as strong as oxen. Which was a good thing, as the runways were often simply two tracks across the prairie the width apart of the undercarriage.